Relax and enjoy a gentle exfoliation of your skin which is followed by an aromatherapy massage using a velvety rich Shea butter. Following this, your body will be cocooned in a down duvet enabling the butter to drench your skin with moisture while you enjoy a hot towel compress, face and scalp massage. Allow the soothing warmth of the basalt stones to create a realm of relaxation and stimulate circulation. This treatment uses native collagen to nourish and rebuild the structure of the skin. Relaxing massage of the neck, shoulders and arms with heated stones makes this the ultimate pamper facial. A 75 minute blissful experience that uses acupressure, massage, and nourishing products for a renewed skin firmness and glow. Experience a realm of tranquility and calm with this new facial treatment brought back from beautiful Bali, Indonesia. Need a quick pick me up? The addition of oxygen infused with hyaluronic acid will soften and smooth skin texture revealing that Celeb healthy glow. You and your skin will emerge refreshed and renewed. Highly recommended to polish and prepare the skin for Brides to be! Series of 12 (2-3x/week) for $1320 plus receive 2 Advanced Anti-Aging Serums FREE ($265 value). This anti-aging procedure offers a painless, gentle facelift without surgery. It creates a more youthful, radiant appearance by diminishing fine lines and wrinkles, improving skin tone and colour, and developing firmer facial and neck muscles. Look years younger in just 60 minutes! Series of 12 for $540 plus receive a Cucumber Hydrating Mask FREE ($50 value). Micro-current is used to restore contour and lift the eyebrow area, soften and smooth fine lines and wrinkles, reduce puffiness and diminish dark circles to restore that glow of healthy skin. Acupressure massage techniques are used to firm skin, reduce puffiness, eliminate dark circles and improve skin complexion. Also increases energy, stimulates mental clarity and provides a sense of deep relaxation. Nu Face device offers a low level electrical current that mimics our body’s natural current to tone facial muscles, improve contour, and reduce fine lines and wrinkles. Device is also available for home care use. The body is massaged with active ingredients that penetrate deep into the tissues and are left to activate while wrapped in a thermal blanket. Cellular transfer (metabolism) is improved and there is a general detoxifying that reduces cellulite, edema, heavy leg syndrome, and general muscle stiffness. *6 to 10 treatments are recommended to obtain maximum results. A unique de-stressing technique that uses hot stones along with essential oils to massage the body. Volcanic stones of specific size and shape are strategically placed on the body and used to massage away minor aches and tension. Non-RMT relaxing massage that incorporates blends of essential oils to bring total relaxation to the body, relieve stress and improve the general condition of the skin. Perfectly priced for those without insurance coverage or for those who have maxed out their coverage for the year. A relaxing massage of the neck and scalp to ease muscle tension and headaches. Beautify the skin on the back with this deep cleansing treatment that includes exfoliation, gentle extraction, relaxing back and neck massage and a soothing mask to balance oil levels and encourage healthy, blemish free skin. Essential manicure with clear or no polish. Includes nail filing, shaping, cuticle attention, relaxing massage and professional polish application. All the ‘essentials’ of a manicure plus an anti-aging treatment that targets dry skin, fine lines and sun damage. Nail polish application completes this luxurious treatment. With clear or no polish. Includes warm relaxing foot soak, nail and cuticle attention, buffing and callous removal, exfoliation and massage of the foot and lower leg. Essential oil infused foot soak, nail and cuticle attention, buffing and callous removal, vigorous exfoliation of the foot and lower leg followed by relaxing massage and professional nail polish application. All facials include an SPF application of Jane Iredale Minerals. *facials range from 45 to 75 minutes depending on treatment. Our advanced native collagen works to restore skin hydration and stimulate the natural production of collagen. For all skin types, this is an age preventative and nourishing facial. Customized for men, this facial moisturizes and soothes the skin with special care given to sensitive shaving areas. This de-stressing facial includes hot towel compress, relaxing hand, arm and scalp massage. Accelerate brightening in dry, dehydrated and photo aging skin. Active ingredients will enhance skin tone and clarity for a radiant and fresh glow. This facial is purifying and deep cleansing to treat and heal various types of skin conditions including acne. Ideal treatment for mature skin and those seeking a lifting effect with the hydration benefits of our active protein and peptide products. 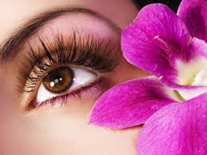 Intensify the eye and brow lift by adding the “Sumishi Bright Eyes” treatment for an additional $35. Luxurious treatment for total skin hydration and suppleness. Ideal for dehydrated, aging or mature skin conditions. The addition of oxygen helps encourage the growth of new cells including collagen while nourishing and rejuvenating dull skin. A relaxing, non-invasive treatment that includes a lymph drainage massage to clear accumulated ear wax from the ear canals. Especially beneficial for sinus and allergy sufferers. Pressure point massage technique is applied to certain areas of the feet to enhance relaxation, and alleviate stress. An excellent add on to any service. Oxygen along with the addition of aromatherapy oils helps to improve mental alertness, increase immune function and induce relaxation. Thai Yoga Massage $70 for 1 hour - $90 for 90 min. Thai Yoga Massage is a relaxing and rejuvenating form of yoga and shiatsu massage combined. The movements and techniques of this Thailand inspired massage help to increase your circulation, energy, range of motion and release tension in your body. Yoga - Starting at $90 for 6 week sessions. Hatha Yoga is a branch of yoga that encompasses physical health and mental well-being. It harmonizes body (postures/asanas), breathing techniques (pranayama), and meditation (dyana). Through the physical practice of Hatha postures, health is restored to the physical body by aligning the skin, muscles and bones. Through breath and meditation, students develop a sense of peace and calm in the mind and body to become more connected and engaged in the world we live in. Small class size so REGISTRATION IS REQUIRED. Hair growth must be a minimum of ¼ inch or 2-3 weeks growth to receive waxing. Please inform your aesthetician if you are using Retin-A, Accutane or tanning beds prior to waxing.